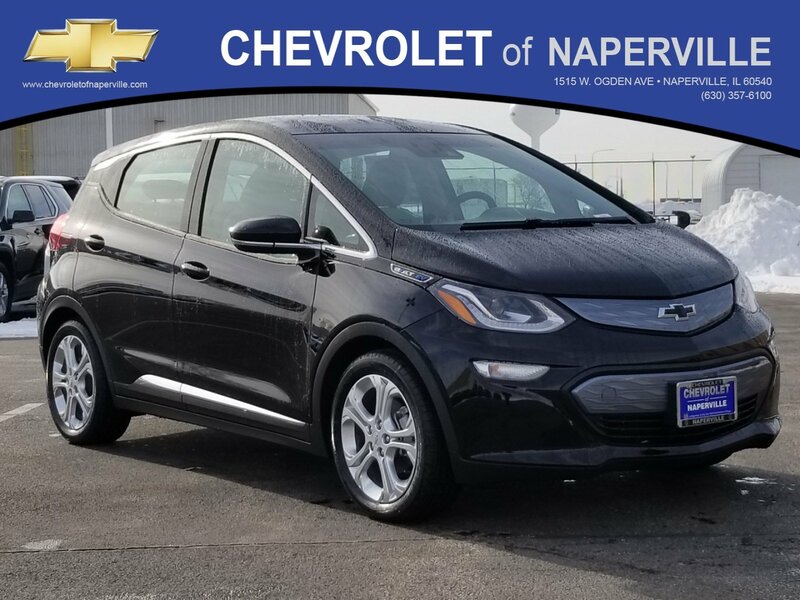 BOLT EV IS HERE!! 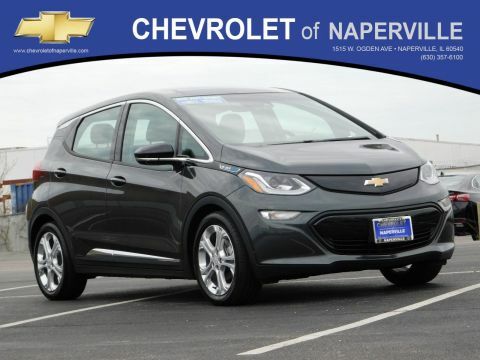 238 MILES PER CHARGE!! NO MORE GAS!! 10.2” TOUCH SCREEN!! DC FAST CHARGER!! DRIVER CONFIDENCE PACKAGE I & 2!! COMFORT AND CONVENIENCE PACKAGE!! 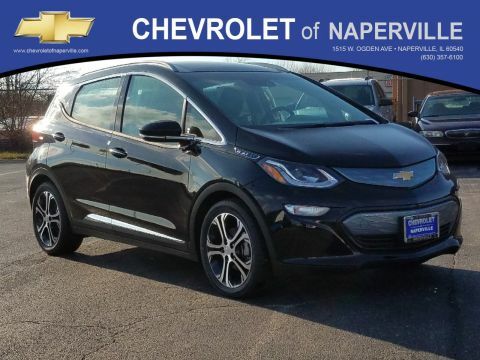 2019 CHEVROLET BOLT EV LT, MOSAIC BLACK METALLIC ON DARK GALVANIZED/SKY COOL GRAY HEATED SEATS, BOLTEC ELECTRIC DRIVE UNIT, LITHIUM ION BATTERY PROPULSION, LET’S GO OVER ALL THE OPTIONS ON THIS ELECTRIC VEHICLE FOR THE MASSES!! CHEVROLET MYLINK AUDIO SYSTEM WITH 10.2” COLOR TOUCH SCREEN DISPLAY, APPLE CAR PLAY CAPABILITY, BLUETOOTH FOR PHONE, REAR VISION CAMERA, 4G LTE WI-FI HOTSPOT, CRUISE CONTROL, POWER WINDOWS, POWER LOCKS, AND POWER ADJUSTABLE HEATED OUTSIDE MIRRORS, INTELLIBEAM HEADLAMPS, FOLLOWING DISTANCE INDICATOR, LANE KEEP ASSIST WITH LANE DEPARTURE WARNING, LOW SPEED FORWARD AUTOMATIC BRAKING, FRONT PEDESTRIAN BRAKING WITH PEDESTRIAN DETECTION, CHEVROLET BOLT WHERE FORM MEETS FUNCTION!! NOW….HOW ABOUT SOME WARRANTY…..YOUR VOLTEC COMPONENT WARRANTY IS GOOD FOR 8 YEARS OR 100,000 MILES, ALONG WITH THAT YOUR BUMPER TO BUMPER COVERAGE IS GOOD FOR 36 MONTH OR 36,000 MILES… PEACE OF MIND DRIVING….ALL ABOARD!! 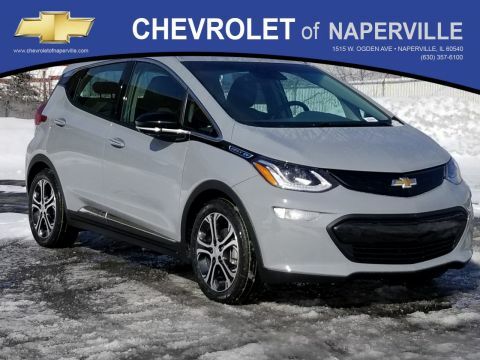 COME ON IN TODAY AND TAKE THIS ALLNEW CHEVROLET BOLT EV FOR A SPIN AROUND OUR CHEVROLET OF NAPERVILLE TEST TRACK…YEP…WE HAVE OUR OWN TRACK….FIRST ONE HERE WINS…FIND NEW ROADS HERE AT CHEVROLET OF NAPERVILLE….